threaded rod and size of the dead-man is selected and installed according to the condition of the basement wall. 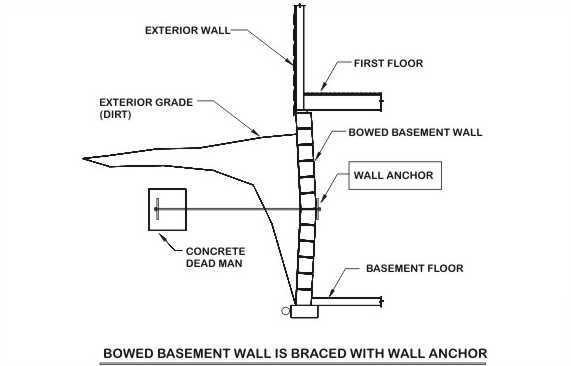 The condition of the basement wall must be found suitable for the application of the Wall Anchor. © 2013 Kgstructures. All Rights Reserved.